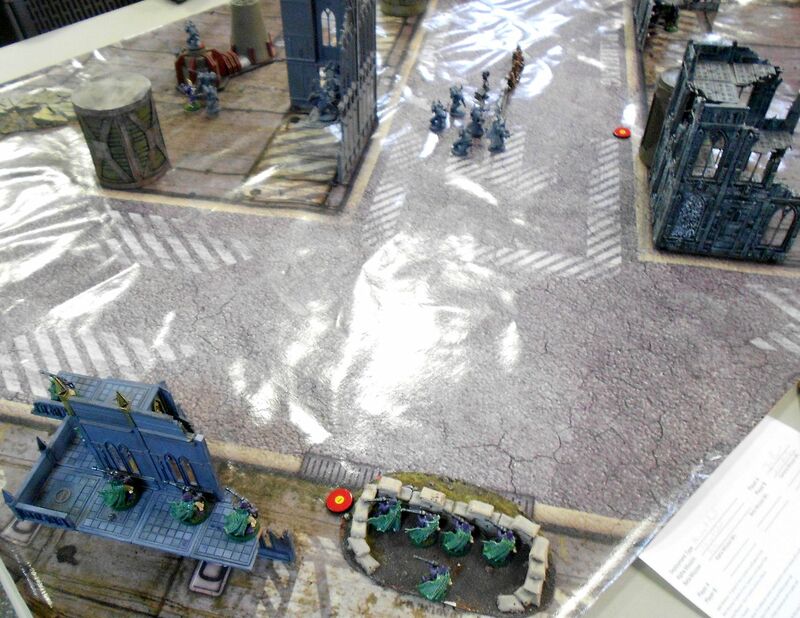 Campaign game against McCoy's Chaos Marines. SuperHQ plus 750pts. Missions were primary random objective cards, secondary relic, "secondary" objectives like First Blood as tertiary. One of his warlord traits was to allow multiple infiltrators, which I forgot included the bikes. 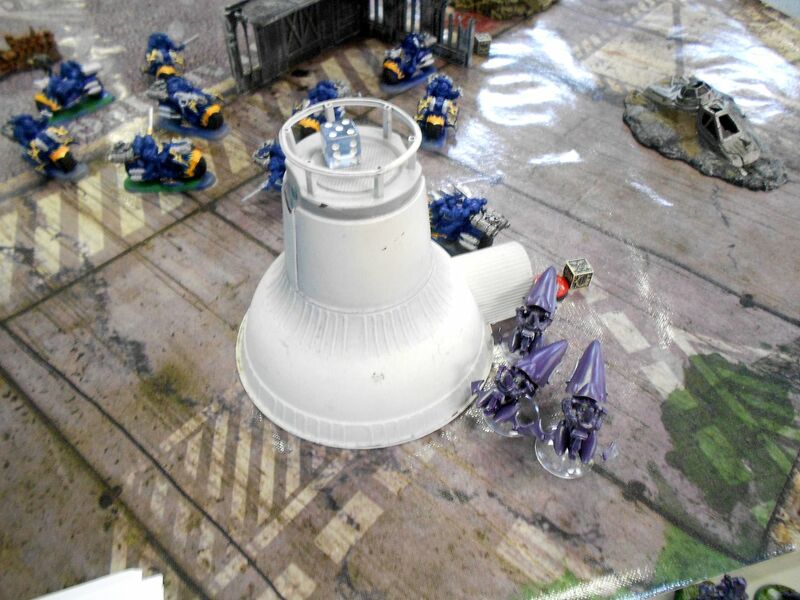 I set up my D-cannons forward but neglected to have other things close enough to push him further back. I decided to make deployment really crazy and infiltrated the rangers and scorpions too, and we placed different places denying infiltration zones to each other. 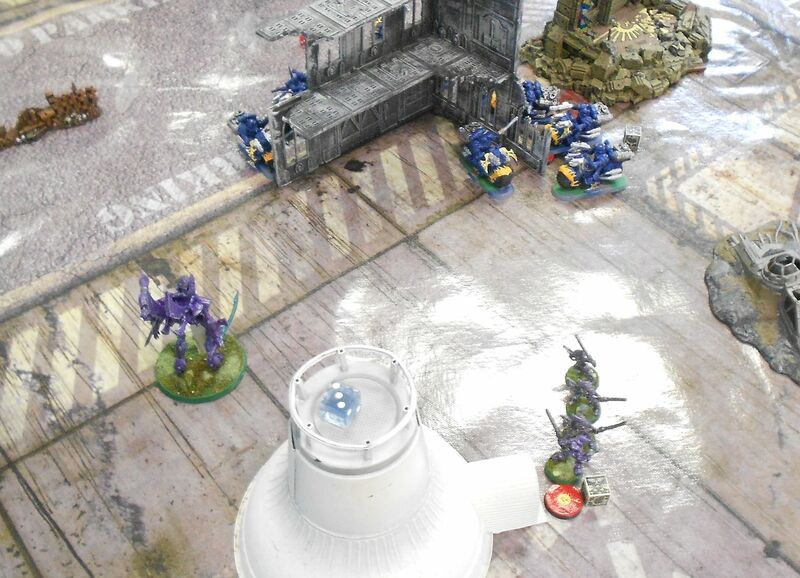 Rangers set up to cover one objective and sacrifice themselves to the three squads of noise marines. 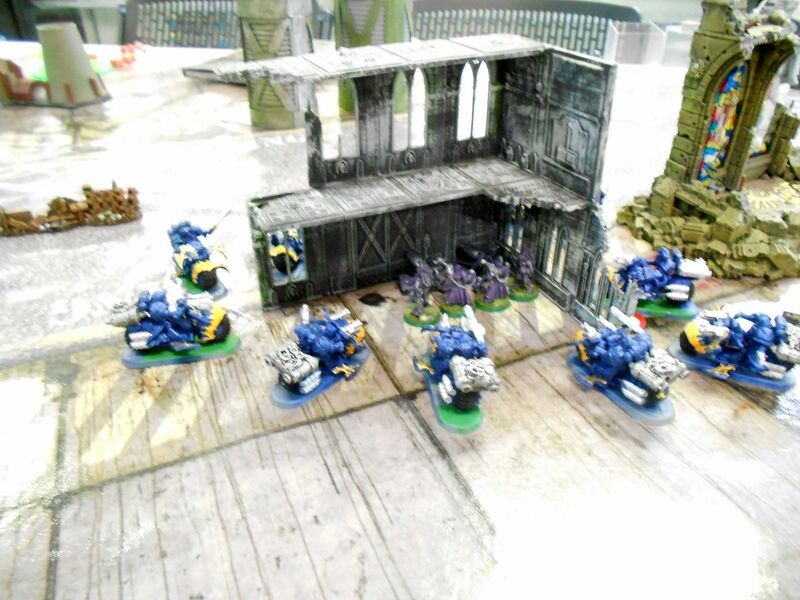 Noise marines move up for objective and cover relic (servo skull objective marker) while bikers close on d-cannons, shooting meltaguns through the wall to no effect. 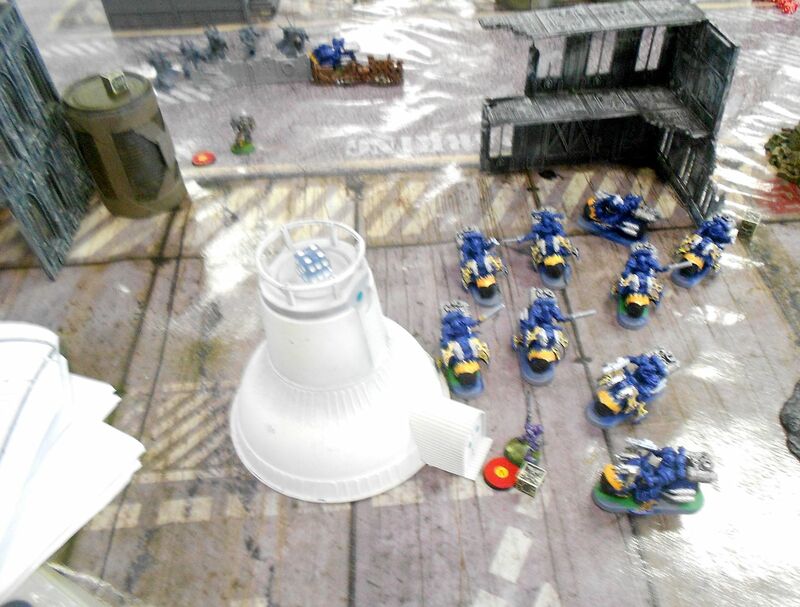 Rangers scored one point off of this objective before being sonic-ed to death. D-cannons tried to blast a few bikers, but they jinked away. Turn two they circle and close in for the kill. 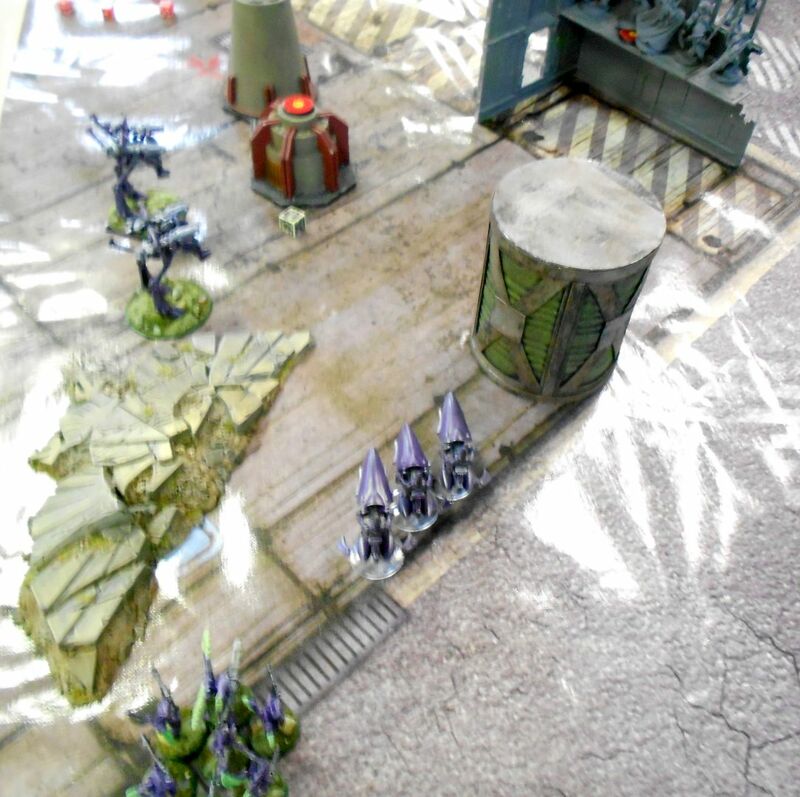 Wraithlord and scorps move up to try to tie up the bikers, both fail charges. 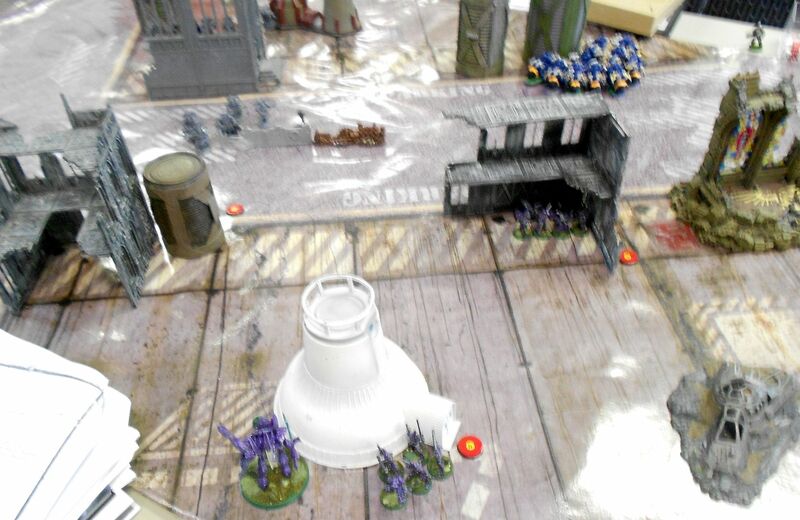 Oblit arrives, between it and the bikers the wraithlord gets taken down. 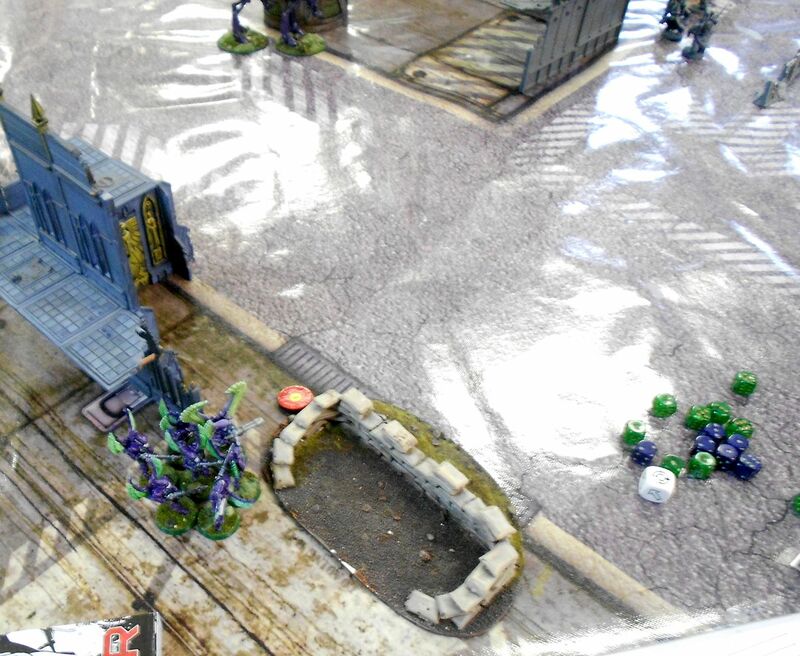 Blastmaster takes out the other scorpions but one lives! Ha ha! Watch out bikers, he has MANDIBLASTERS!!!!! 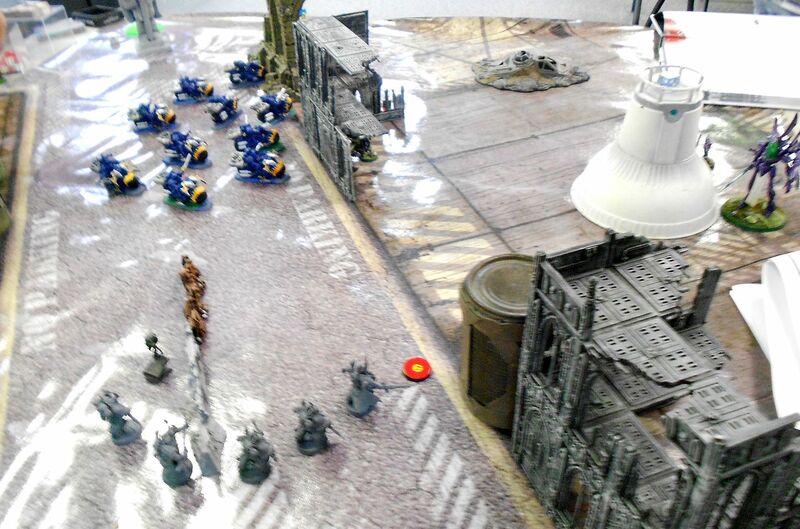 Eldar reserves all show up at once and start wiping out noise marines in the backfield and take an objective, scoring another point. Down something like 7-2 on the primary at this point. Hey, I was just kidding about the mandiblasters. Here, I'll put the helmet down real slowly...urk. Hawks had skylept earlier, now drop back down to grab another point. While bikers turboboost to grab another one before being blasted to oblivion. In the end he had ten points to my five, a solid win for him. He had the relic and first blood. I had linebreaker, neither had slay the warlord. Total of IIRC 20pts for him, 2 for me. Oof. 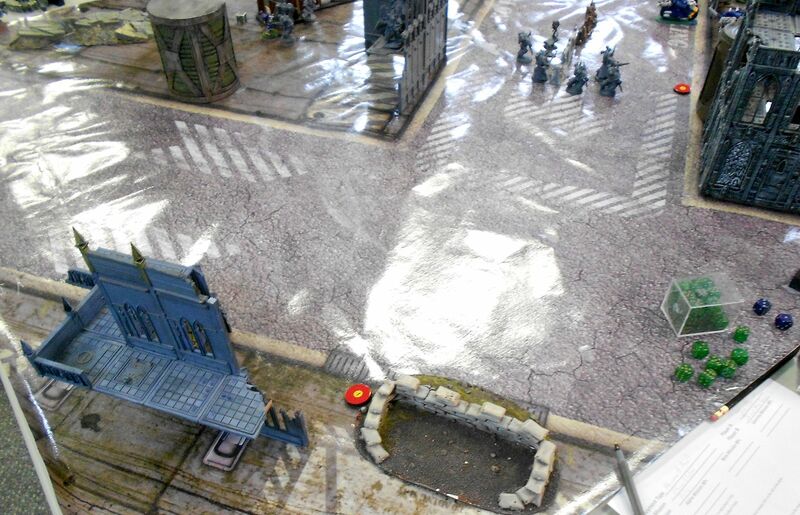 I knew it would be rough with his big biker unit and all the cover-ignoring weapons of his noise marines, but hoped I could get some cheap shots in earlier. 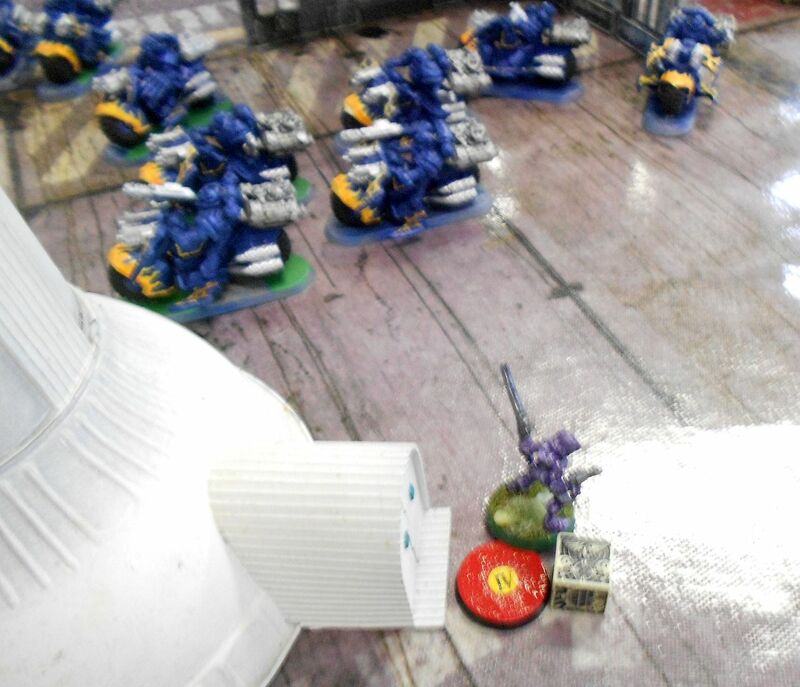 'twas not to be though, with my heavy hitters (D-cannons and wraithlord) going down without even scratching him. The reserves managed to get some moral victories, but corsairs don't fight for moral victories! Good job by James, he played well though I gave him a pretty easy win. Maybe I can be more of a challenge next time!